Create custom wording, names, or initials using this DIY Kit to make the letter “O”. 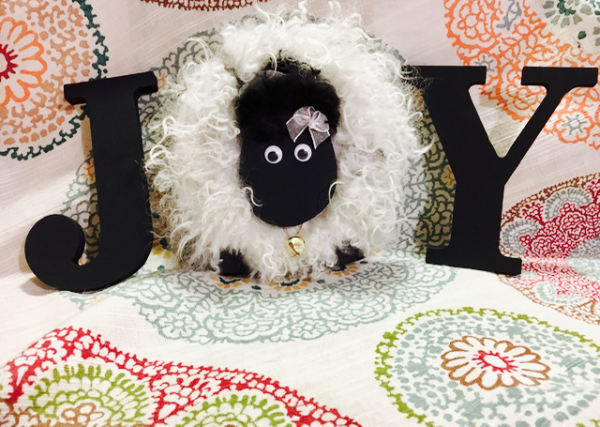 This unfinished DIY kit includes unfinished wooden sheep body and head, black acrylic paint, foam brush, googly eyes, bell, and twine. 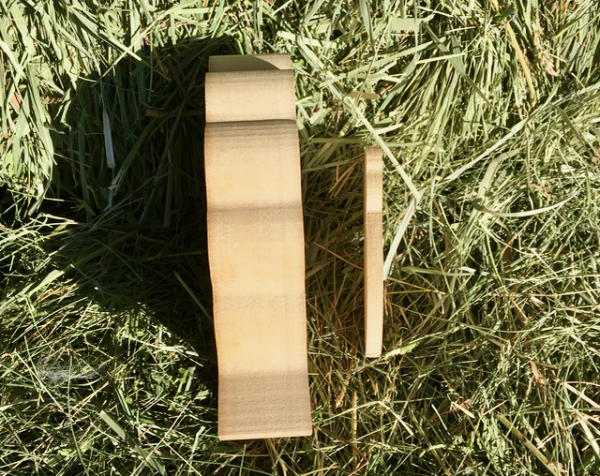 This, approximately 5 inches tall, MDF wooden sheep replaces the letter “O” in a word or initials, and is over 1 inch thick so it won’t tip over. It is ready for you to customize with sheepskin, fleece, felt, paint, vinyl, and finish with your own embellishments such as, bows, glitter, stickers, or ribbon. *Instructions included! Create custom wording, names, or initials using this DIY Kit to make the letter “O”. 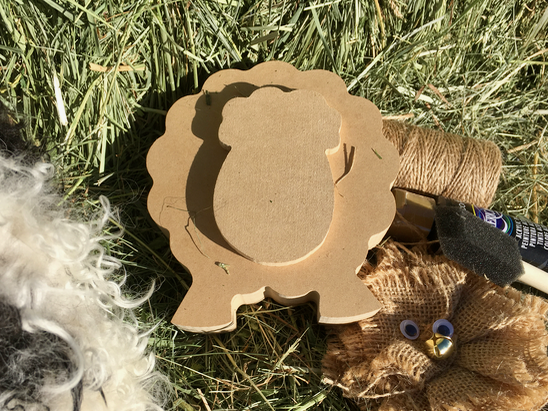 This unfinished DIY kit includes unfinished wooden sheep body and head, black acrylic paint, foam brush, googly eyes, bell, and twine. * If you want a kit with the sheepskin included, please purchase the Sheepskin Included DIY Craft Kit Sheep Letter “O”. 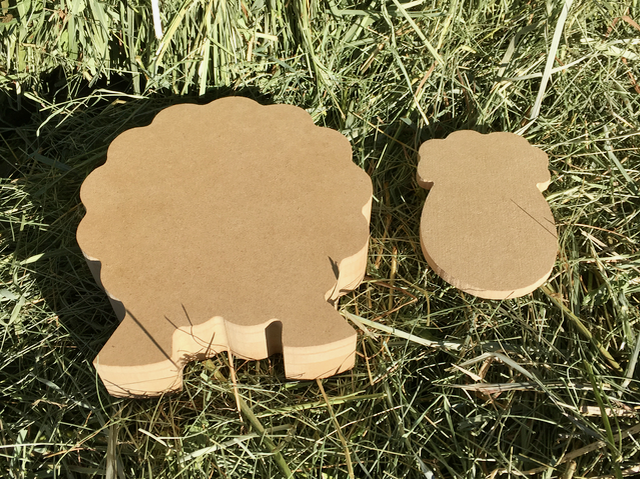 This, approximately 5 inches tall, MDF wooden sheep replaces the letter “O” in a word or initials, and is over 1 inch thick so it won’t tip over. 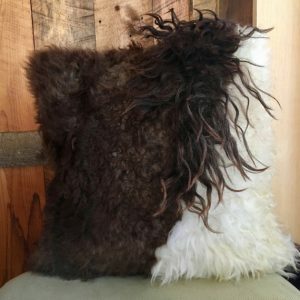 It is ready for you to customize with sheepskin, fleece, felt, paint, vinyl, and finish with your own embellishments such as, bows, glitter, stickers, or ribbon. Additional letters (the “J” and “Y”) are not included. You can purchase your own letters from us for $10 with a two-week turn-around/delivery time. If you are going to purchase your letters somewhere else, I recommend letters that are 5 to 6 inches tall and freestanding at 1″ thick. This is the original kit, and does not include the sheepskin or pink bow. If you want a pink bow (as shown in the picture) just add a note to your order and I’d be happy to include that bow for you at no extra charge. 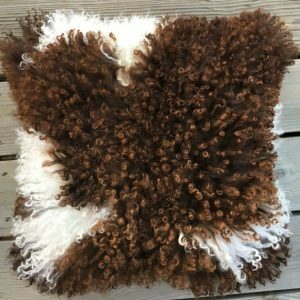 If you need a kit that includes the sheepskin scraps, please purchase the Sheepskin Included DIY Craft Kit Sheep Letter “O”. 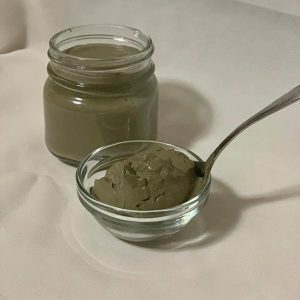 If you have a paint color request (default is black), questions, or concerns, please contact me prior to placing your order. 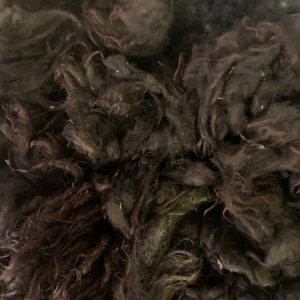 This is a virgin lamb fleece (first shearing), lightly skirted, and raw. 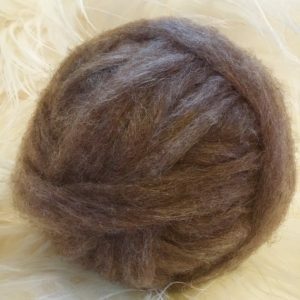 Excellent quality black to gray fleece, super-soft, great locks, 20oz. Skirted, little VM, staple of 7-8”. This rug is one-of-a-kind and handmade, right here in Montana, by Amika! 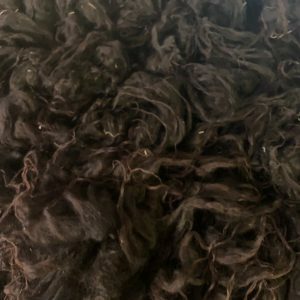 Approximately 3′ by 3′ in long black – gray lamb fleece from our favorite ram, Rift! 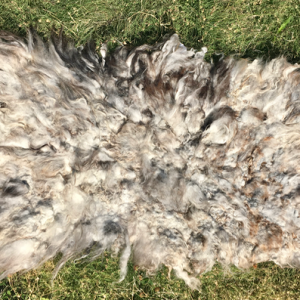 Our flock of Icelandic Sheep have been hard at work in Montana growing the most luxurious fleeces. 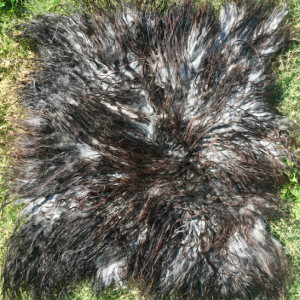 We’ve taken select Fall lamb fleeces to hand-felt into beautiful fleece rug home decor. 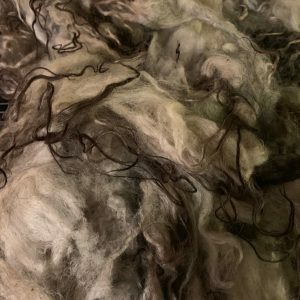 Turn any room into a cozy space with a beautiful Icelandic lamb fleece rug. Note: This is not a sheepskin. 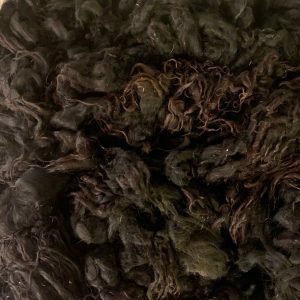 It is just the fleece, felted from shearing in the Fall. This rug is one-of-a-kind and handmade, right here in Montana, by Amika! Approximately 3′ by 5′ in chunky gray.